The average age of trustees is now over 60 years old, and with charities struggling to recruit board members, we need to explore ways of engaging more young people in charity governance. Young trusteeship is a great opportunity for boards to become more diverse too - hear new perspectives, access new knowledge, insight and skills. However, there are still lots of barriers for young people taking part - from meeting times that suit predominantly those who are retired, to lack of capacity for boards to carry out enough outreach and develop skills amongst new trustees. 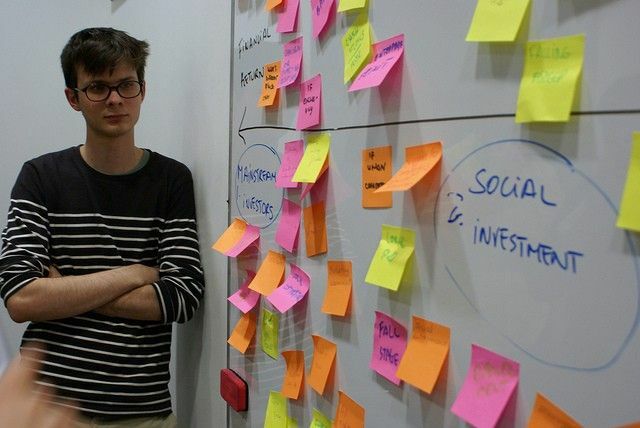 The young trustee programme at Oxford Hub works to address all of those barriers, adding capacity to charity boards - we manage the recruitment of young trustees, place them in boards aligned with their interests, train them up, and support them to contribute to the boards they join. Participants tell us they benefit enormously from the programme - developing skills and making their voices heard. The programme was seed funded by a donor at Oxfordshire Community Foundation, and is now heading into its fourth cohort of young trustee recruitment. This week we're celebrating young people's contribution to social change with #iwillweek as well as #TrusteesWeek - if you are involved on a charity board, we'd like to encourage you to have a conversation with fellow trustees about how you can increase your diversity and help train the new generation of charity leaders! During #iwillweek we are celebrating the contributions of young trustees on charity boards across #Oxfordshire - bringing new perspectives and increasing diversity, while developing future charity leaders!